To every defence lover out there this is the story of a boy who had a dream completely different from what his parents and society was seeing for him. A long post(read with patience) but will definitely boost those who had no defence background………..Ok then lets start. 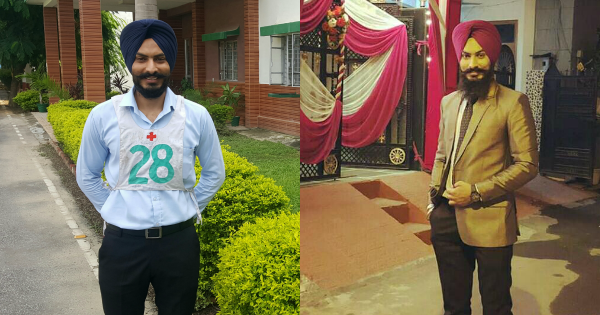 INTRODUCTION AND PRE COLLEGE LIFE : My name is Taranjit Singh. I am from a village background of state Punjab. My father is a storekeeper in general reserved forces(GREF). My journey had every up and down there can be. After completing my 12th I was confused about my carrier since my father had never got the chance to complete his studies so he wants me to go for higher studies hence I gave AIEEE and cleared but my score and rank was not good therefore I didn’t get into NITs in two consecutive counselling so without wasting any more time I applied for PTU(Punjab technical university ) counselling and got admission to a private engineering college. During my college 1st year I was a shy person and a complete introvert and to overcome that I participated in almost each and every event of college be it be plays, sports, cultural activities and so on. moreover, I joined the National Service Scheme and went for many social and environmental camps which helped me to acquire an all rounder personality. Then comes the final year, projects were submitted and companies came for campus placements most of them were for CSE branch and me being from ECE branch had no knowledge of DBMS and HTML kind of things, therefore, I got selected in none. After that I went for GATE exam coaching and failed to qualify, I scored 19 marks which were not even close to ECE cutoff. This was the time when I started appearing for SSBs. SSB JOURNEYS AND JOB: My first attempt was for TGC-124(2016) at Bhopal and got screened out reason being my nonseriousness and zero preparation for the ssb. Thereafter I kept on preparing for various government exams and kept on failing in all. However, I never gave CDS exam because I was too afraid of general knowledge and English. Hence I got overage for CDS and I was left with only AFCAT, TGC and SSC(tech). Meanwhile, for money, I started a job at a banking institute IBT pvt. Ltd Jalandhar as an executive which were consuming most of my day time. 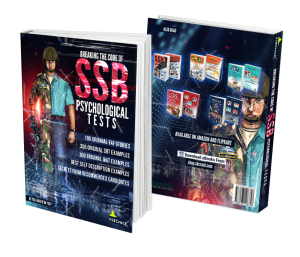 There at IBT I started giving serious thoughts about my carrier as I can not keep working as an executive after doing engineering so I fully and finally decided to give my time for SSBs. I prepared and wrote AFCAT and cleared but unfortunately got screened out. That was the time when I decided to go for coaching and learn what SSB demands from a candidate. I joined an institute in Chandigarh and after completing coaching I immediately went for AFCAT AFSB at Mysuru, there I got screened in. As my first screening, I feel like I was recommended and went into tears, to my luck I got conferenced out. This was my biggest setback till date as I got overage for the mighty Airforce. I went back home completely lost in my mind thinking about my every possible mistake and I found thousands of error in me. Thereafter with some more prepration, I went for SSC tech-51 and again got conference out. Till that day I had 4 screenouts and 2 conference outs. However on the conference out day of SSC tech-51 I was praying that “hey god please give me SSB Allahabad as my next TGC centre, I want to convert my rejections to selection at the rejection board” and gentlemen to my surprise I got Allahabad as centre. That very day I promised my self that I will give my 100% to preparation. As soon as I reached home I quit my job and started preparing with my most trustworthy friends SSBCRACK(website and Instagram account) and Sukhbir Singh my another defence aspirant friend. These two were my preparation buddies I think I am lucky to have. I did my SWOT analysis and purchased TAT and WAT series from SSBCRACK. Furthermore, I joined spoken English classes as I knew that I can speak in English but not for long durations. I did one TAT set each day and discussed my stories among friends also at the spoken classes I requested my trainer to sit at the end of the classroom so that I can speak loudly and my voice should have fewer stuckups. Moreover, I did group discussions and topic speaking every day. This was how I practised. SSB REPORTING: Then comes the first day of my reporting at SSB Allahabad. At least 390+ candidates reported and the whole railway station was flooded with aspirants. They were coming from every direction. On reaching the board we did our documentation and went for OIR testing. Thereafter PP & DT happened. Since I was very nervous about seeing so many candidates I did not talk to anyone and kept practising narration in my mind soon we were sent inside before the mini board for discussion, and individual narration started and surprisingly we all were given 20-30 seconds for each narration, as soon as the assessor understood the idea he said next. Then GD started and like everytime group was divided into two halves. I end up speaking twice in GD. Then we were sent outside to wait for results. It was around 6:30 pm when the results came and I was screened in with 53 others. Then we filled PIQ forms and were sent to our respective rooms. PSYCHOLOGY DAY: The next day it was psychology day. Tests started I wrote flawlessly in my TATs then WAT and SRT and the final series of self-description. Gentlemen here the trick to write good stories is to increase your action part and write your natural responses. Please never ever write someone else’s response, the selection procedure is 100% foolproof , you just can’t cheat them. One way or the other they will catch you. Day 1 GTO : Here the more you know about your roommates the better your group will perform in GTO tasks. First, there were two GDs , both were on moderate topics and each and every member got the chance to speak at least once( here your quality of ideas matter the most). Moving on to group planning be an instant thinker in the group (an example situation not real one for confidential reasons): there was a problem of fire in the crop field and solutions were given as firefighting truck, pouring buckets of sand and so on, however, my solution for this is using tubewell and plastic irrigation pipes using them will be of much help till the time fire services will arrive. This way GPE ended, then the PGTs and lecturette. Here choose the topic you are most confident on. Day 2 GTO: Next day there were group obstacles and individual obstacles. In IO I completed all in 2:30mins and repeated two more. Thereafter was command task, my command task was of a moderate level and I completed it successfully with just one mistake. After that, I was called for Interview. Day 3 GTO: Next day it was HGT and FGT and GTOs were over. CONFERENCE DAY: My chest no was displayed and I waited for around 10 min before entering the conference room. Inside I was asked some basic questions about my stay and suggestions for the center. This however gave me a low feeling about 50-50 chance for my recommendation. Hence I went outside and kept quite as others were saying you are selected, even some were saying you are a borderline case . To all this I replied that result will tell and again went into my quiet. Here I just kept on saying one thing in my mind “ If not me then who”. Then results came and my chest no was called at first and in total six candidates were recommended for TGC-128. On hearing my chest no my mind froze and it was complete blank inside. Emotions slowly started affecting me I gave the news to my father, filled with joy he went 9 km on foot to his nearest GURUDWARA sahib to thank the mighty WAHEGURU for their blesssings.